Landing Spielberg Took “Perseverance” | News and Features | Style Weekly - Richmond, VA local news, arts, and events. Spielberg directs on set during several scenes shot on the south lawn of Virginia’s State Capitol in the fall. He returns in January for the Richmond Forum. Having an inside operative was key to landing the elusive Steven Spielberg for a slot in the new season lineup of the Richmond Forum. It didn't hurt that the insider was a Pulitzer Prize-winning historian. Presidential scholar Doris Kearns Goodwin is an old hand at the forum, having appeared at the speaker series in 1998 and 2002 with historian David McCullough. And it just so happens that Goodwin wrote "Team of Rivals: the Political Genius of Abraham Lincoln." The 2005 book is the heart of the script for Spielberg's "Lincoln" movie, which was filmed here during the fall and is expected to be released in December. The production brought buzz and star-spottings for weeks, using hundreds of locals as extras, crew members and actors in speaking roles. It filmed on location at such places as the State Capitol and on set in Mechanicsville. 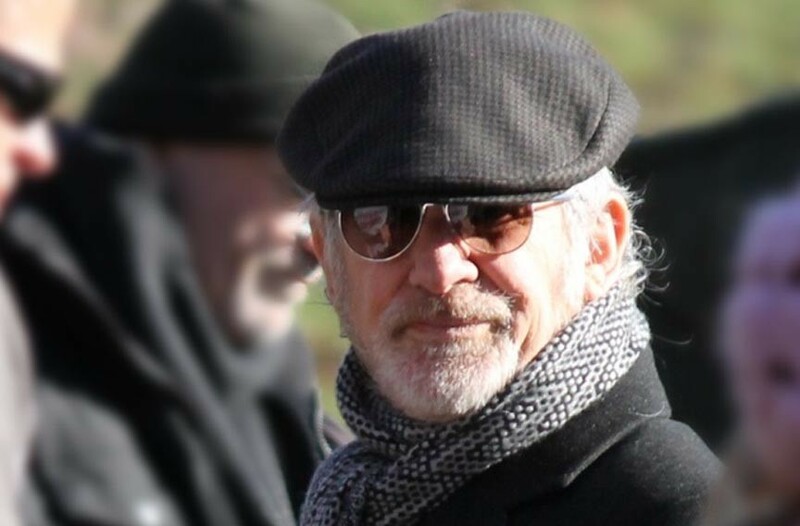 Spielberg was visible but kept a low profile, mostly staying out of the local media spotlight. 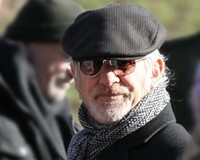 Bill Chapman, executive director of the Richmond Forum, hoped to secure Spielberg for the season that was under way during the shoot. It was a long shot, Chapman says: "He does not do speaking engagements; he does not do these types of programs." Chapman got his first rejection letter from DreamWorks last summer. But he pressed on for the following season, perhaps to coincide with the film's release. Then Goodwin visited the "Lincoln" set. "So she was able to pitch the idea to him when he was here and get him interested in it," Chapman says. Still, it took patience and perseverance, he says. "And it wasn't until two weeks ago that we finally got the official yes." That was just in time for Saturday's announcement of the new season lineup at the nearly 3,600-seat Landmark Theater, which includes: photographer Platon for "Portraits of Power," Nov. 17; Spielberg and Goodwin in "Bringing History to Life on Film," Jan. 5; former President Bill Clinton, Feb. 8; Capt. Mark Kelly and his wife, former Rep. Gabrielle Giffords, March 9; and environmentalist and chimpanzee expert Jane Goodall, April 13. Chapman also credits the reputation of the independent, nonprofit forum, entering its 27th season, for sparking Spielberg's attention. And perhaps, he says, it's the director's way of thanking the Richmond area for serving as the production's host. Season subscribers get first dibs on the new series through May 5, with remaining tickets on sale to the public May 14. Details are available at richmondforum.org. Richmond Forum's new lineup includes conversation with "Lincoln" director and historian.